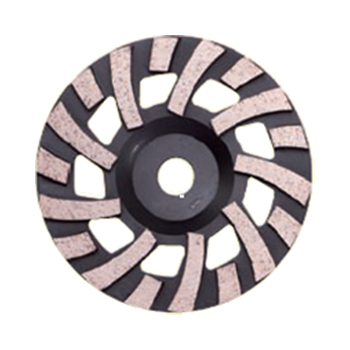 Double row cup wheels are an excellent and economical way to grind a variety of hard materials such as concrete,stone and masonry. Turbo Cup Wheels are fast grinding cup wheel and ideal for deliving a smooth finish.Performs light coatiing removal, concreteconcretecleaning/restonration,and leveing of uneven spots.Moreover,Turbo Cup Wheels,with theri ability to clean and smooth concrete prior to coating. 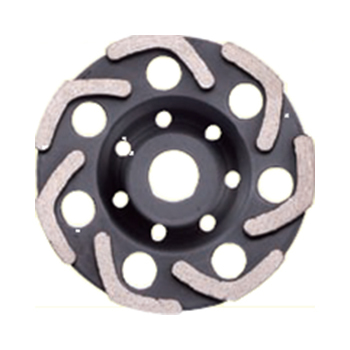 Fan segment cup wheel is suitable for Hilti DG150 G rinder. With special design, it has a good long life due to more diamond surface area. 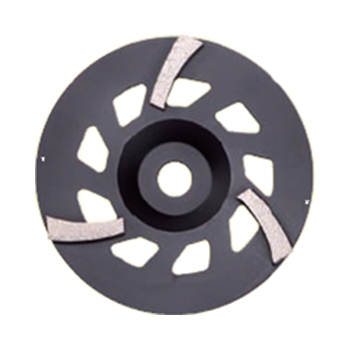 Shallow disc cup wheels are mostly used for grinding and removal of Glue /Paint/Resin. Tornado segment for removing paint, thin Epoxy coatings and thin coatings of crystallingzed glue and mastic. 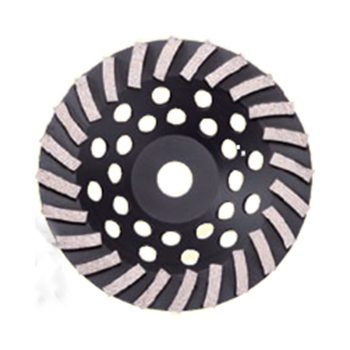 BSP tools manufacture provide various kind of Professional diamond cup wheel in different girt size, so it can grinding the object from rough grinding to fine polishing, Both OEM and ODM are available. BSP tools supply professional diamond cup wheels for grinding machine like HTC or Husqvana. BSP professional diamond cup wheels cover Double row diamond cup wheel, turbo diamond cup wheel, fan segmented cup wheel, shallow dish cup wheel, Tornado segmented diamond cup wheel. 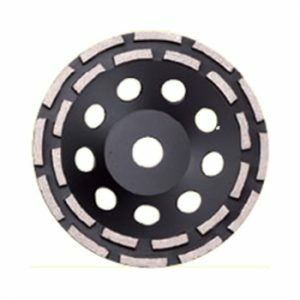 BSP tools professional diamond cup wheel have soft bond for hard concrete, medium bond for average concrete, hard bond for soft concrete or coating and epoxy removal. Also diamond grit size is from 25# to 120#. BSP tools professional diamond cup wheel with fewer segments offer faster,more aggressive grinding. 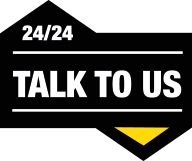 Cup wheels with more segments provide smoother finishing and longer life.